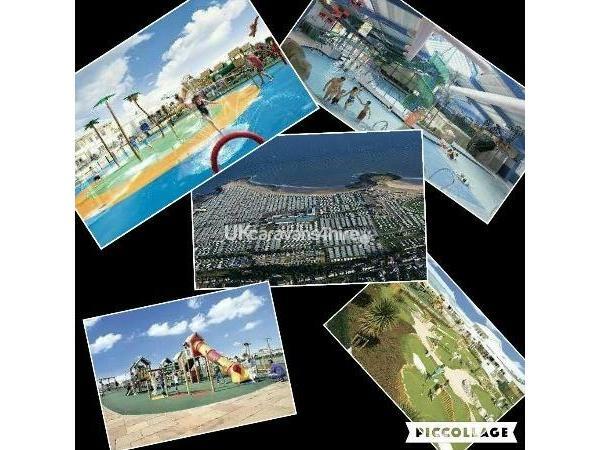 Just a £50.00 deposit to secure any booking.Deposit is on top of holiday price. 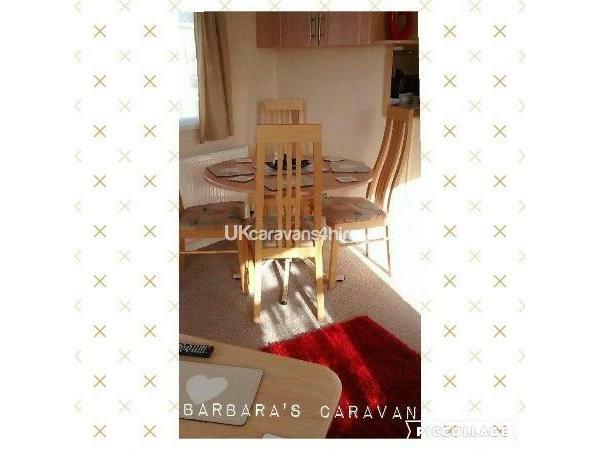 Non refundable deposit if holiday cancelled. 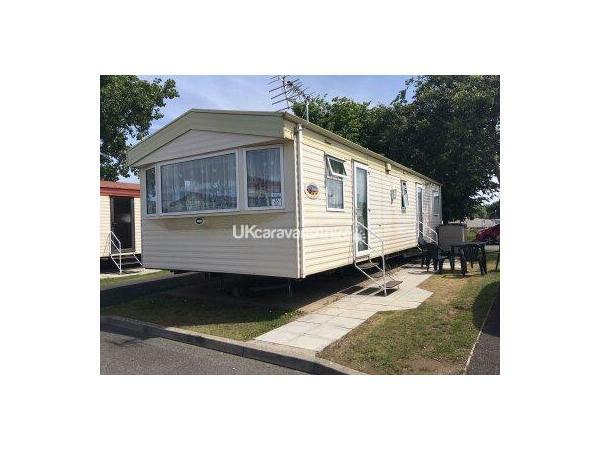 Non refundable deposit if any rules broken.Full payment must be received 2 weeks before your holiday. 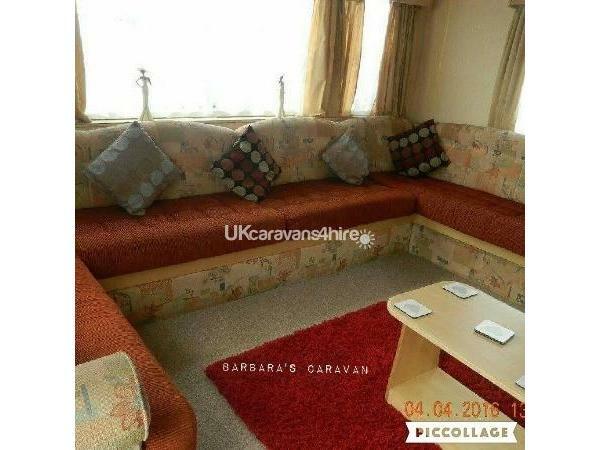 A deposit of £50 MUST be paid WITHIN 4 days of booking ( bank transfer). If NOT received within 4 days dates will be re advertised. 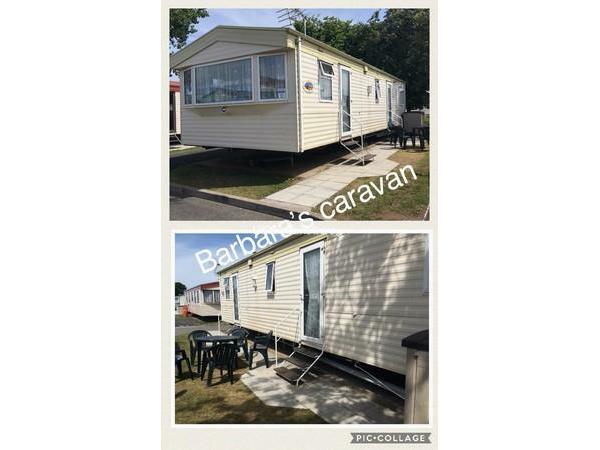 Deposit confirms and secures your booking, refundable within 7 days after end of stay assuming no damage has occurred to caravan or contents. 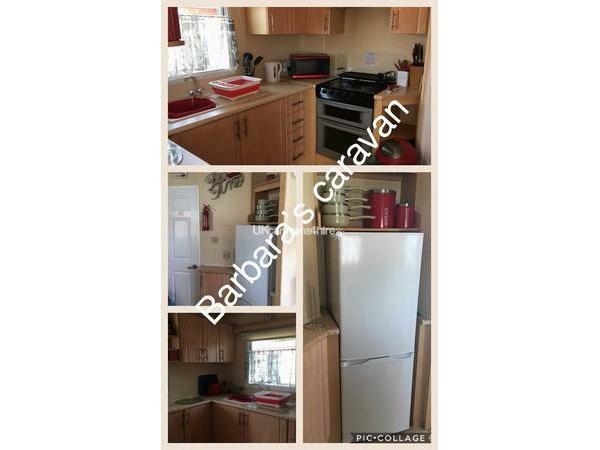 Gas & electric included in price. Passes are NOT included in price. But can be purchased on site. Could you please check availability calendar before sending enquiry. PLEASE include number of adults(over 25),number and ages of children when sending your enquiry. Also could you include full names,address & mobile phone number . 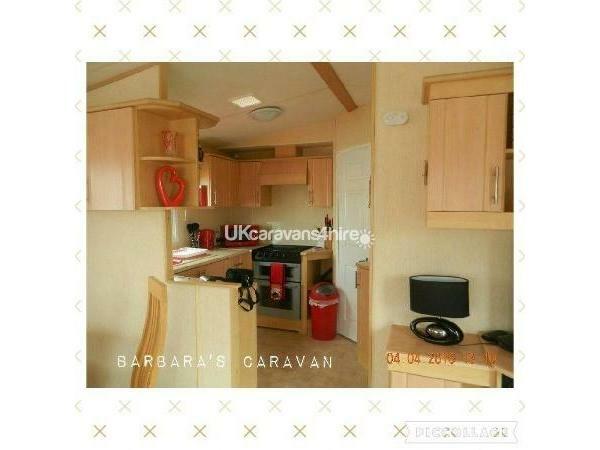 If booking deposit must be received within 4 days of booking . 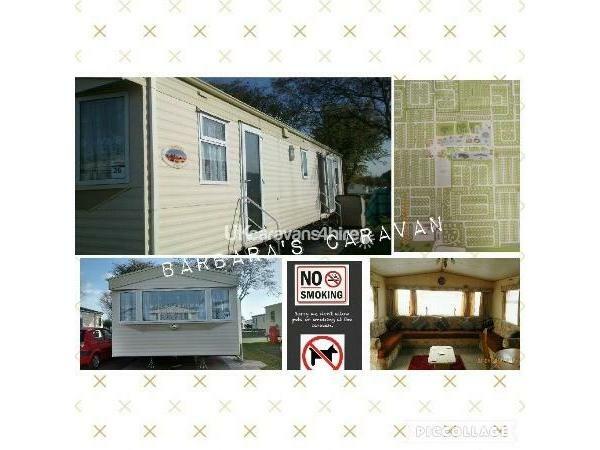 This caravan is located in Ash within Trecco Bay and is close to all amenities. 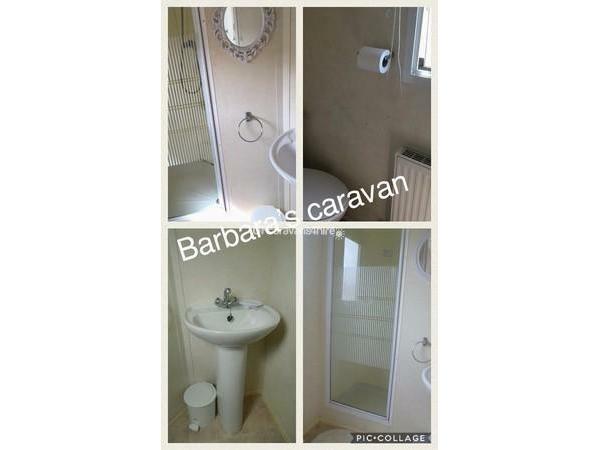 The caravan has 3 bedrooms and a pull out double bed in lounge so sleeps 6/8 people. 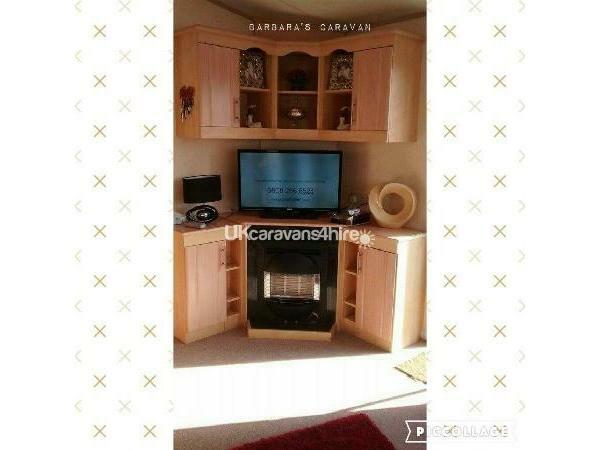 The caravan has full central heating and double glazed. Gas & electric is included in the price. We provide quilts and pillows, but please bring your own bedding & towels. 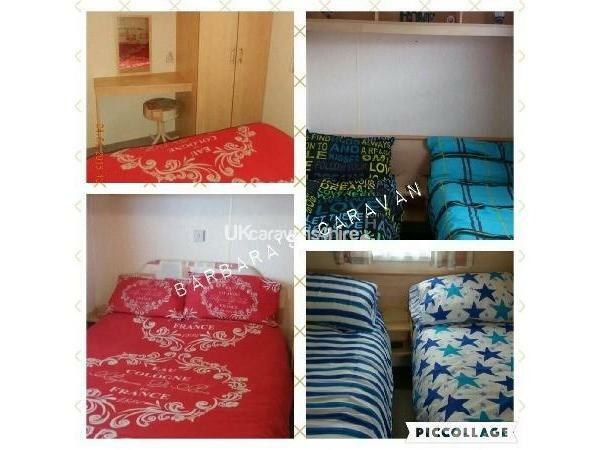 (bedding can be provided for an extra charge of £20.00). Passes are available to purchase at owners select if you need to buy them. 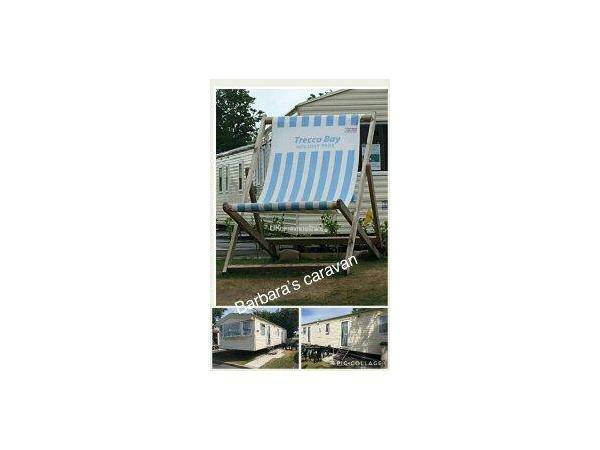 Parking for 1 car at side of caravan,any other cars need to park in main car park .